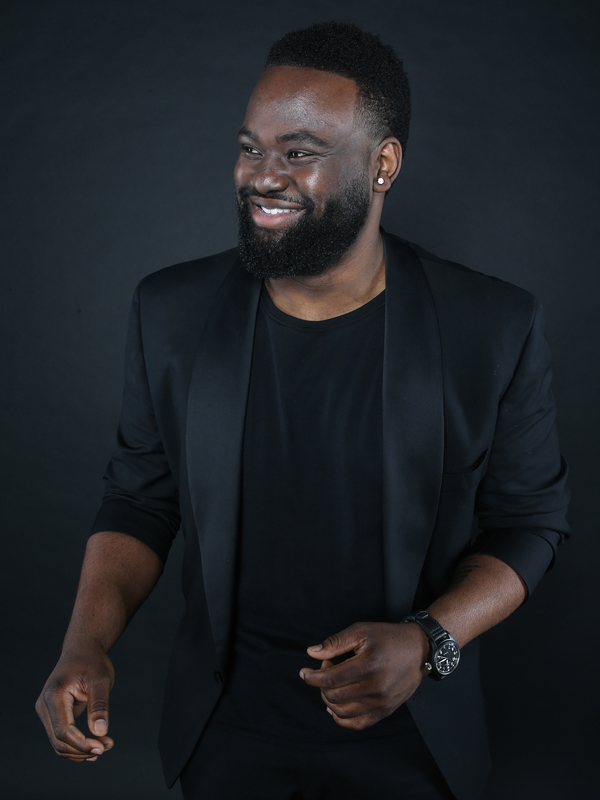 Jazz pianist James Francies released his debut album, Flight, in Oct. 2018. Francies's reputation as a sideman is well-earned. 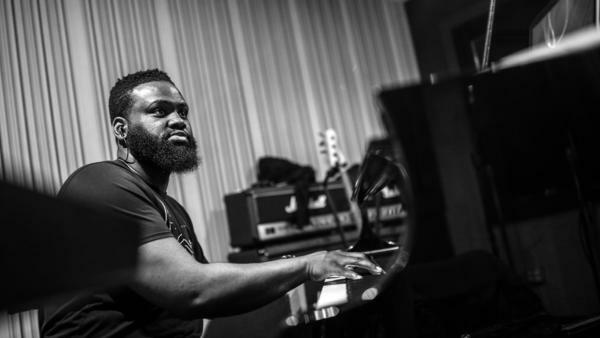 The past four years, Francies has been a substitute for keyboardist James Poyser of The Roots, the house band of the Tonight Show starring Jimmy Fallon. The group faces the unique challenge of backing new and legendary popular recording artists every night. "Me and my mom would watch the show on Fridays," Francies says, remembering his teenage years. "And she was like, 'You know, I feel like you're going to be like him one day." His first piano lesson was a lifetime ago. He was 4 and could barely reach the keys. "My piano teacher gave me this red book," Francies says. "I remember this [one] piece vividly, because it was only three notes. The teacher showed me something just so I could go home and say I could play something." Growing up, Francies's parents' music tastes influenced his own. At 6, young Francies was obsessed with a VHS tape celebrating Michael Jackson's 30-year anniversary. "I used to listen to Michael Jackson before I listened to jazz, you know," Francies says. "Which is crazy to think about." John Coltrane's Lush Life with vocalist Johnny Hartman from dad's collection and his mom's love for Earth, Wind & Fire and Chaka Khan stuck with him. In fact, Francies did an arrangement of Rufus and Chaka Khn's 1983 hit "Ain't Nobody" for Flight. Joe Sample, the co-founder of The Crusaders, was the first jazz pianist Francies ever saw live. Sample was a family friend who led a benefit performance at Francies' family's church. "It was incredible," Francies says. "He wrote me a note saying, 'always love your music.' I'll never forget that." Fast forward to high school. Francies auditions and gets accepted to Houston's famed High School for the Performing and Visual Arts. There, he learns technique and an appreciation for classical composers like Igor Stravinsky, his favorite. Pianist Jason Moran, the artistic director of jazz for the Kennedy Center and also an alumni of the school, takes notice in Francies. Moran recalls a younger Francies playing on a level beyond "where we were when we were his age." Moran hints at a mild case of envy for Francies' almost daily creative experiences with Anderson.Paak and Lauryn Hill, as well jazz veterans Jeff "Tain" Watts and Chris Potter. "He's actually done, like, a myriad of kinds of bands that work in very different ways and scales," Moran says. "So that gives him an entirely different playing field to be starting from." Flight showcases Francies originals, mostly instrumentals. The recording features a collaboration with vocalist Yebba. The 23-year-old Arkansas native is a relative newcomer, but she's sung with PJ Morton, Chance The Rapper and A Tribe Called Quest. Francies and Yebba exchanged ideas on piano and guitar respectively for the track "My Day Will Come." The lyrics she wrote initially reflected her grief since her mother's suicide in 2016. "I used to listen to Michael Jackson before I listen to jazz, you know," Francies says. "Which is crazy to think about." Yebba recalls Francies's piano performance as both "fierce" and "gentle" on the finished track. Because the ease was there, she said it allowed her to focus on the simple things that she wanted to say. "So, instead of me trying to be like, 'All this pain, all this pain, all this pain...' I feel like I just have to release that when I sing," Smith says. "He helped me to release hope." A quietly imposing figure standing at least six feet tall, Francies sits real low at the piano to get the most of his hands and arms. His ability to play with high velocity yet control is a skill he's developed over time. Touched with a bit of inspiration, it emerges naturally. Francies points to Gonzalo Rubalcaba, a Cuban-born pianist and phenom now in his 50s, as a model for his own maturity to come. "He [Rubalcaba] gives it to you in nuggets," Francies says. "It's kind of like a boxer, you know, setting you up with the jabs, and [then] comes the uppercut." Still trying to develop his virtuosity, Francies is sure he'll get there someday. Francies turns practical when asked to predict what he will sound like 10 years from now. "I don't know, I'm still thinking what I'm gonna sound like Friday. I just hope I sound good," he says. "I just want to articulate who James Francies is, the best way I can." The 23-year-old jazz pianist James Francies has his musical fingerprints all over the place. He has recorded a Grammy-winning single with Chance the Rapper. He's toured with Lauryn Hill and Pat Metheny. And for the past four years, he's filled in on "The Tonight Show" with the house band The Roots. Now Francies has released his own album, and our own Walter Ray Watson has this profile. WALTER RAY WATSON, BYLINE: Here's what the pace of James Francies' life sounds like right now. WATSON: Francies is moving very fast through music circles, doing an ever-widening variety of gigs. And to keep up with demand, he says he's flying a bunch. JAMES FRANCIES: It just felt like you're on a plane at 40,000 feet, traveling at, like, 600 miles an hour. WATSON: He calls his first album "Flight." UNIDENTIFIED PERSON: On behalf of all of us here, we'd like to be the first to welcome you to Houston. WATSON: This tune is a shout-out to his hometown. It's called "Crib." FRANCIES: When we say crib, we just know that's Houston. You know, you think about Frenchy's or, like, Shipleys or just barbecue, just food and just anything Houston. We just - like, yeah, that's crib. WATSON: That's where he started playing at 4. His parents, a couple of non-musicians, took him to hear a concert at their church. It featured the late pianist, composer and family friend Joe Sample, one of the Jazz Crusaders. FRANCIES: And he was the first jazz pianist I ever saw live. And it was incredible. And Joe Sample wrote me a note saying, always love your music. And I was 5 years old. I will never forget that. WATSON: A framed poster from the concert still hangs at home. FRANCIES: He always - he used to call me Little Oscar actually. WATSON: After jazz great Oscar Peterson, someone who also played lots of notes. Here's what Francies sounded like at 17 at the High School for Performing and Visual Arts in Houston. WATSON: He was ambitious. He made audition tapes like this one with hopes a summer jazz camp would accept him. JASON MORAN: I remember hearing James when he was still in high school - maybe a junior in high school and thinking, like, oh, wow, this kid has it together. WATSON: That's pianist Jason Moran. No slouch himself, he's artistic director for jazz at the Kennedy Center in Washington, D.C. And as it turns out, he also went to the same high school in Houston as Francies. Moran's a mentor and a fan. MORAN: James has the ability to do things with his hands. You know, at one part, it's extremely technically challenging what he is able to accomplish. The other part, he has this right hand that really can make the upper register kind of sing. WATSON: In addition to being an accomplished pianist, James Francies says he's been writing his own tunes since he was 8. FRANCIES: But they didn't really get good until, like, last week. WATSON: Most of the compositions on his debut album are instrumentals. WATSON: But he co-wrote one of the vocals with another 23-year-old, newcomer Abbey Smith. She uses the stage name YEBBA. WATSON: They wrote the song "My Day Will Come" after her mother's death by suicide. YEBBA: (Singing) I thought that I had everything to myself. He's so fierce but, like, so gentle at the same time when he plays. And so that really kind of helped me step back and just focus on the simple things that I wanted to say 'cause the ease was there. So instead of me trying to be, like, all this pain, all this pain, all this pain, he helped me to release hope. YEBBA: (Singing) And, love, our day will come, and I'll see the sun. And it all just might come crashing right back down to the ground. But I will stand again, my friend. WATSON: James Francies is composing songs for YEBBA's debut recording in addition to touring for his new record and playing as a sideman with other jazz artists in New York. FRANCIES: I mean, I'll always be a jazz pianist at heart, you know? WATSON: There's a but in there. FRANCIES: I feel I just have so much more to offer in terms of the songwriting, performing, producing. It's just - I just see it all as music, you know? WATSON: James Francies hopes to carry listeners on their own journey into where music is going if, that is, they can keep up with him. Walter Ray Watson, NPR News. (SOUNDBITE OF JAMES FRANCIES' "SWAY") Transcript provided by NPR, Copyright NPR.